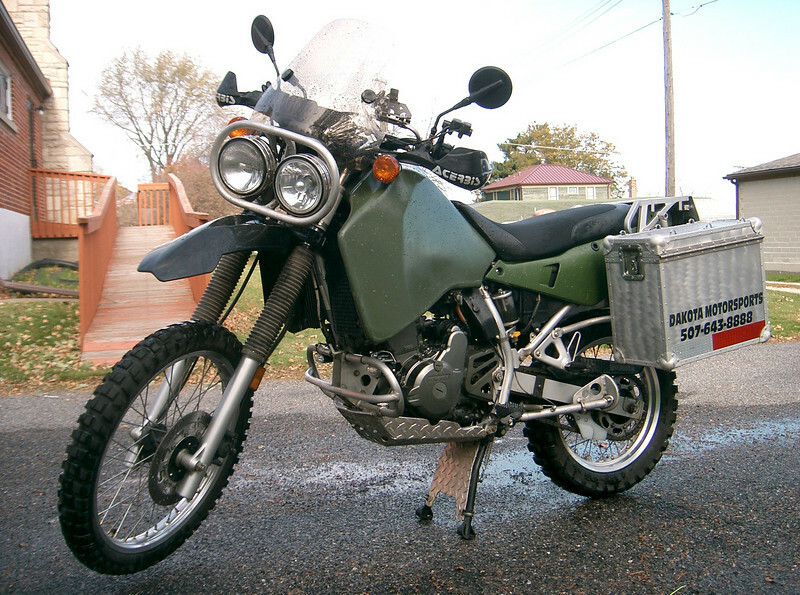 My 2002 KLR650. I just finished washing the bike so I might as well get a quick picture of it. I bought it in the fall of the year and did most of the mods over its first winter. It's the least expensive bike I own but yet the one I'm having the most fun riding.